Geckos are basically lizards found in warm areas throughout the world. They are unique in the fact that they chirp to communicate with each other. There are 1,500 different species of geckos in the world. Their name comes from an Indonesian-Malay origin ‘gēkoq’, which is the sound that they make. Geckos are insectivorous living on moths and mosquitoes. 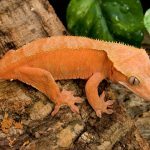 While most geckos are oviparous, some are viviparous and give birth to live young. For the egg-laying members of the family, the female lays 1-2 eggs in a clutch. Eggs may be incubated for 30-80 days. 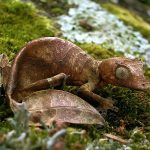 Species that give birth to live young are usually concentrated around New Caledonia and New Zealand and include the species cloudy gecko and jeweled gecko. 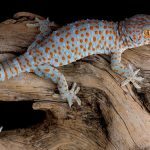 For defensive purposes, geckos can drop their tails off to distract a predator. The tail eventually grows back. The smallest gecko, the Jaragua sphaero or dwarf gecko, was discovered in 2001 near the Dominican Republic.